Google recently introduced a new way to identify, validate, and rank content called “Authorship.” This is accomplished by linking your Google+ Profile, which should contain a head shot picture, to the content (article posts) on your WordPress site. By claiming ownership of your content, it enables Google to know that the article was presumably written by a real human being, you, as it is linked to a Google+ Profile. When your article appears in the Google search results, a picture of you will be displayed next to the search results. The coolest things about the new Authorship search result are the two links: “by Jason Palmer” and “More by Jason Palmer.” When you click on the “by Jason Palmer”, you will see my Google+ Profile page. When you click on the “More by Jason Palmer”, you get a mini-Google Search engine of all my content which enables readers to find other articles that I have written. 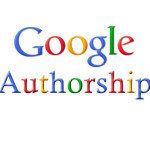 Google has not yet fully disclosed exactly how the new Authorship link will improve your content position. One could assume that authenticated content will rank higher because it is from a real person instead of an anonymous source that could have simply plagiarized or copied it and republished it with erroneous attribution. Another great benefit is that if you use Google Analytics, you will get additional activity statistics on your Google Authorship enabled content. If you have the Genesis Framework, implementing Google Authorship can be accomplished in three easy steps: Find your Google+ Profile URL; Enter it in the Google+ box on your user profile page in WordPress; Add your site to your “Contribute To” section in your Google+ Profile. Rather than duplicate other great content, see this article at CopyBlogger.com “Claim Google Authorship for Your WordPress Website in 3 Easy Steps” for screen shots and an extended narrative on how to do it. If you are not using the Genesis Framework, you can use a generic “Google Authorship” WordPress plugin to accomplish the same task. Once you have this setup, you can test what your article search results will look like with the “Google Structured Data Testing Tool” available in the Google Webmaster Tools site. I view Apple like Diesel powered vehicles and Microsoft like Gasoline powered vehicles. You can sing the praises of Diesel engines and their increased fuel efficiency vs. the performance of Gasoline engines. The fact is that no matter how many Diesel vehicles are sold this year, the number will pale by comparison to the number of Gasoline vehicles. And, if you were to add up all the gas vs. diesel fueled vehicles in similar fashion to the installed base of Microsoft Windows vs. the Apple operating systems, you start to see the futility of debating who is going to win the operating system war. We can discuss how spectacular Apple Mountain Lion is: the iPad/iPhone like experience brought to an iMac or MacBook Pro, the new cool graphics, widgets, whatever… But, the practical reality is that if I am in a Microsoft Windows world, debating the merits of Microsoft Windows 8 vs. Apple Mountain Lion just makes for either wishful thinking or great cocktail conversation. We can even marvel at the new interface of Windows 8 and how Microsoft is trying to unify the user experience across all devices but you will never see it running on an iPad or an iPhone. Some will say it is not about the Business environment but about Consumers and which operating system, Microsoft or Apple, is going to power my Toaster, or on a more serious note, my Smartphone, Tablet, and possibly Computer – if not replaced by a Tablet. I respond that the conversation is not about which Fossil Fuel will power my next car: Gasoline or Diesel – but what comes next? Using the car analogy, it will most likely be a hybrid or perhaps a fully electric vehicle. Maybe Fusion technology will be available in my lifetime. The next operating system to power my Smartphone, Toaster, or Computer could be Android or ChomeOS – both from Google. 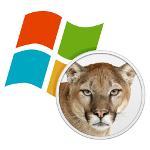 If that becomes true, where does that leave the Microsoft vs. Apple operating system debate? It is spectacular that Microsoft and Apple are definitely making technology easier to use than ever before with their evolutionary changes in the operating systems. 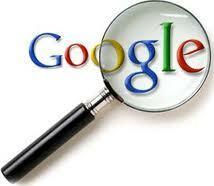 Google Webmaster Tools provide you with detailed reports about how visible pages on your site are to Google. Learn about internal and external links and which key word search queries bring traffic to your site. Upload a Site Map file which tells Google which pages are most important and which URLs (pages) you want Google to index. One of the most helpful aspects of Google Webmaster Tools is the “Site Health” area. Here Google tells you about Crawl errors. Google is extremely efficient and subsequently many sites have their generic sample posts indexed at Google. You delete them but Google still thinks they exist. The Crawl Error report will tell you the exact page location and the date the error was detected giving you the opportunity to investigate further. Google has no way of knowing, without a little human intervention, if a “Page Not Found” is a technical problem, a page that is now behind a secure login, or has been removed. Once Google indexes a page or is told to index a page at a certain URL, it will keep trying until told otherwise. It is through the Google Webmaster Tools that you can mark these errors as “fixed” or permanently remove a URL from Google’s index. Similar to Google Analytics, (Read my post on “Google Analytics for WordPress“) Google Webmaster Tools provides specialized traffic analysis focusing on and listing the search terms that caused your site to be displayed somewhere in the results listing of the query and its’ average position. And there are extensive reports on which sites link back to your site as well as how your site links to itself between categories and pages. Of course, Google+ activity reports are included showing search impact, activity, and audience. In short, using the Google Webmaster Tools Dashboard allows me to keep my site as “Google Friendly” as possible by alerting me immediately to any Indexing Crawl Errors, the status of my SiteMap.xml file updates, and it helps me determine which keyword searches are drawing traffic to my JasonPalmer.com WordPresss web site. Google Analytics for WordPress answers the age-old question, “I built it, did they come?” Every web server creates a log file that tracks details about the visitors to a web site. The challenge becomes getting access to that file and then having the tools to process the raw data to get meaningful information. It all sounds very complicated and it was, but not anymore. Furthermore, traditional web visitor log file analysis was very generic and not optimized for Content Managed Web sites such as WordPress. Google Analytics for WordPress is a plugin that instantly reports back the activity on your site to the Google Analytics Engine for analysis and reporting. Content – The parts of the web site that had the most activity. Social – Determines the interaction with Social Media platforms such as Google +1 and many others. Mobile – Activity/Visitors using devices such as iPads, Tablets, and Smartphones. Conversion – Response rate to Ad campaigns, direct response, and eCommerce – as applicable. Advertising – How well social, mobile, search and display ads are working at bringing traffic to the site. Once everything is fully configured and connected, it may take up to twenty-four hours for Google Analytics to start creating reports from the collected visitor data. These reports will be extremely beneficial in helping you understanding the activity on your web site. The reports will break down your visitors by geography, language, location; are they new or returning visitors? ; the frequency of their visits and how long they stay on the site; which web browser and operating system did they user – (Internet Explorer or FireFox or Safari) and are they Mac, PC, Android, IOS, etc. ; source of traffic such as Google or a Social media site; analysis of the content for speed, page visits, page response time; internal search; and numerous other variations on the major reporting areas listed. One of the great things about WordPress is the ability to get immediate feedback. Readers can leave comments on individual entries, and through Trackback or Pingback can comment on their own sites as well. At first glance, many of the comments received seemed perfectly legitimate. Sentence structure and grammar were correct and contextually relevant. On closer examination, even though the comments were complimentary in nature, they were also very generic and could have been written about any post. Other clues that the comments were not sent by humans, but by machines, were that the sending email addresses were mostly made up of random characters and all from free email services. The final clue was the link provided by the purported author of the comment. (When you make a comment on a WordPress Site, you enter your name, email address, and optionally, a link back to your own site.) None of the links went to legitimate sites. Some went to sites that offered fraudulent software license keys at extreme discounts, others were to doorway pages setup strictly to generate revenue from Google Adword impressions, and some went to discount offers for well know pharmaceutical sold through questionable channels. WordPress has a number of features to make sure that only legitimate comments appear on your site. The first and most powerful is that all comments can be moderated by the Administrator. On the WordPress Dashboard, a little message cloud appears showing the number of comments awaiting approval by the Administrator. If you have a low traffic site, moderating the comments manually and without the assistance of a WordPress Anti-WebSpam Plugin may be sufficient. However, if you would a little help from technology inspired by Alan Turing, you can let a “machine” determine if the comment is from a human or another machine. This is where the Akismet Anti-WebSpam plugin can help. Akismet provides a monthly subscription service for commercial sites (free for personal sites) that applies hundreds of tests to each comment and returns an up or down answer to the question: Is this comment WebSpam? The result of the Akismet tests properly tag the comment and place it in the correct Comment Queue for your further review giving you a head start on your comment moderation tasks. The Akismet Plugin is installed by default with every installation of WordPress. However, you must visit Akismet.com to register for a subscription, free or paid, to get an activation key so that all of the comments to your site are submitted to the Akismet engines for review. Anyone who meets me would never confuse me with any other Jason Palmer. In fact, people say that I make a strong first impression that makes me virtually unforgettable – all good of course. You may read in to that as you will but it is along the lines of “The only thing worse than being talked about is not being talked about. And that brings us to a new series of articles on becoming “the” Jason Palmer on Google. For the past twenty-five years of my career, I have been virtually invisible. To use a term of art, I was “off-the-grid” and nowhere is that more apparent then if you try to find me in a Google Search. Much of my consulting work has been for high profile accounts where being below the radar and discrete is good form. Almost all of my work has come from referrals where I am a well-known quantity prior to the introduction, and my credentials and references, if even asked for, are more than sufficient for me to be essentially hired before I actually meet the client. You could say in my field that I am a little like the “A-Team”, if you have a job, and you can find me, I can definitely help you. And there in lies the issue: Since most of my work comes from referrals, you have to know someone who knows me to find me. However, that simply demonstrates that I have highly specialized knowledge to solve a very specific problem with a very specific solution. It does nothing in particular for making me “the” Jason Palmer on Google. Search “Jason Palmer” (click here), and I am buried amongst a sea of “Jason Palmer’s” not appearing until the third page – at least as of the date of this post. So, how am I going to become “the” Jason Palmer on Google? The answer? Incrementally. First if you look at the title of my site, I am not just “Jason Palmer” but “Jason Palmer – Tech Consultant.” My name is not so unique that there are not many other “Jason Palmer’s” but by adding the “Tech Consultant” tag line, I can narrow the field. This change alone, along with two weeks worth of daily posts allows someone to put in “Jason Palmer Tech” (Click here and see) and put me on the first page of Google.